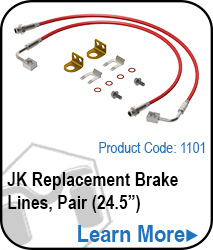 JK Wrangler Sway Bar Quick Disconnect, 12.25"
The MetalCloak JK Sway Bar Quick Disconnect (Extended to 12.25") bolts right into the factory locations with no cutting or modification required. 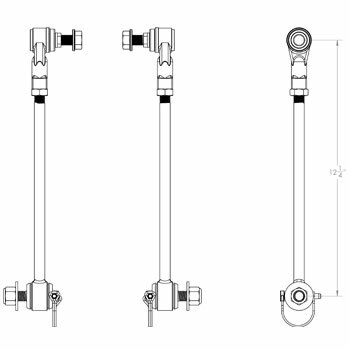 Sway Bar Quick Disconnects are easy to disconnect and connect while on the trails and works with the MetalCloak JK 3.5" Suspension System. 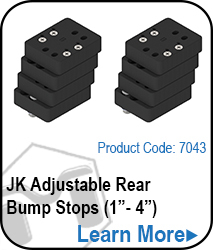 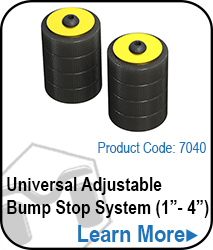 Note: For use with JK Wranglers NOT equipped with electronic sway bar disconnects. 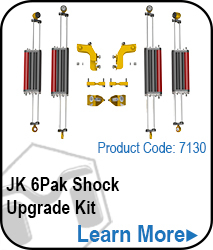 METALCLOAK JK SWAY BAR QUICK DISCONNECTS 12.25"
You're reviewing:JK Wrangler Sway Bar Quick Disconnect, 12.25"